Episode 20 features a lesson about the benefits of interacting with nature. Before we go into the classroom, though, I felt awfully chatty and rambled on about what’s going on in our Ravelry group, my busy spring break week, knitting projects I’ve been working on, a book that I finished reading, and a review of another set of my interchangeable knitting needles. Welcome to both new and returning listeners! I invite you to join our awesome Ravelry group so you can participate in all the activities and contests and be eligible for prizes. I welcome your feedback — you can post comments here on the blog or in our Ravelry group. 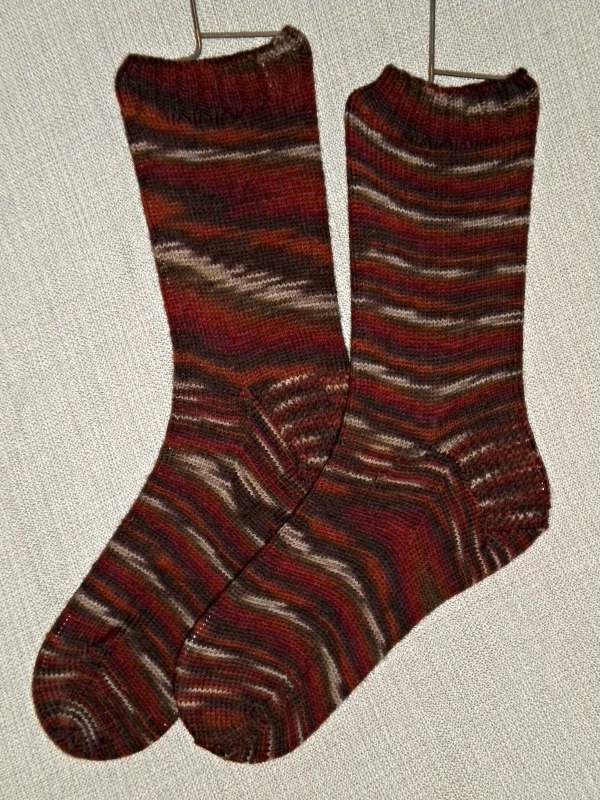 You can also send me email on Ravelry or regular email. It would be great if you sent me a card or letter via snail mail. All of my contact information can be found on this site; click on the “About” tab at the top of the page. This podcast is sponsored by Etsy shops Halcyarn Knitting Accessories and Wandering Wool. Thank you so much to both sponsors! Listeners’ support of these sponsors is truly appreciated, and through them you are supporting this podcast and making it possible. 2. U-Turn Project — post on this Ravelry thread your UFOs from hibernation that you are finishing or frogging and turning into something else. 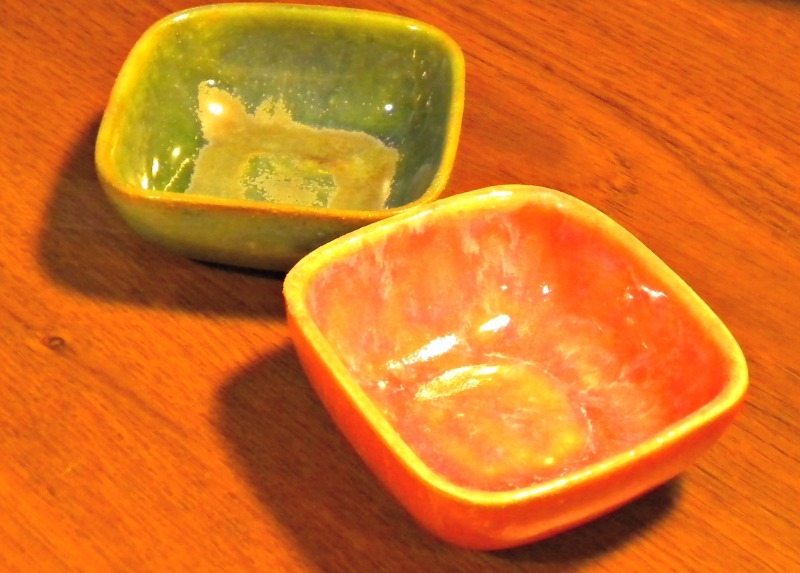 Prizes are one of these fun little ceramic bowls from LizKitzerow plus a set of stitch markers made by me. In this segment, I also introduce our two Ewe University group moderators (besides me): Gail aka Sidweena and Lauren aka Tskmstr. Lauren will be leading a KAL in April and May called “The Back Burner.” This is a KAL where you knit something that you’ve had on the “back burner” — something that you’ve wanted to start but just haven’t gotten around to it. More information about this KAL will be forthcoming. I kind of blather on about what’s been going on with me and how I spent my spring break week. It wasn’t at the beach, either! 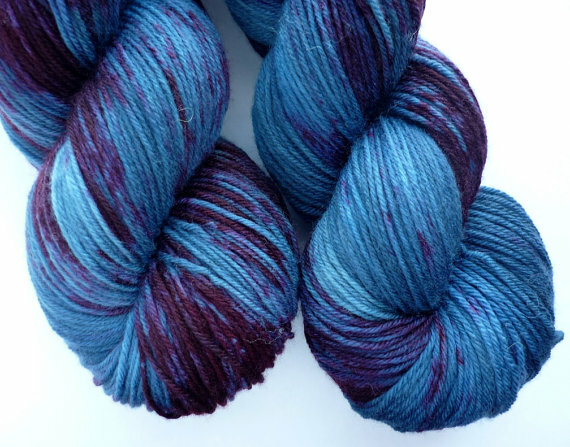 I have been listening to a new podcast called Midnight Fiber and Fabric hosted by Erin. It is charming and interesting. 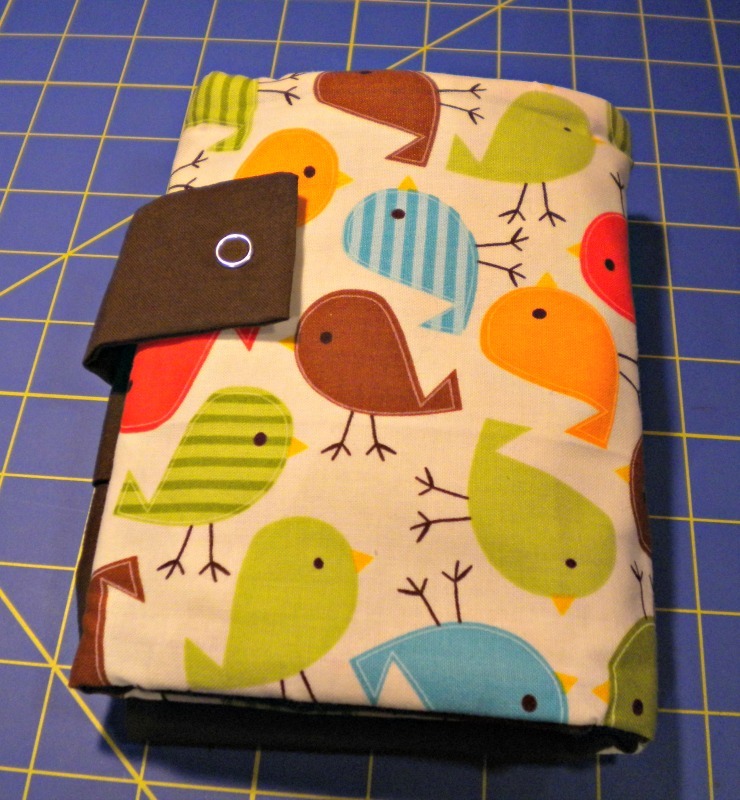 I talk about a new interchangeable needle case that I purchased from SarahKincheloe. I have all my Knitters Pride Dreamz and KnitPicks interchangeables inside — love it! Valentine Socks for John. Yup, I finally finished them! 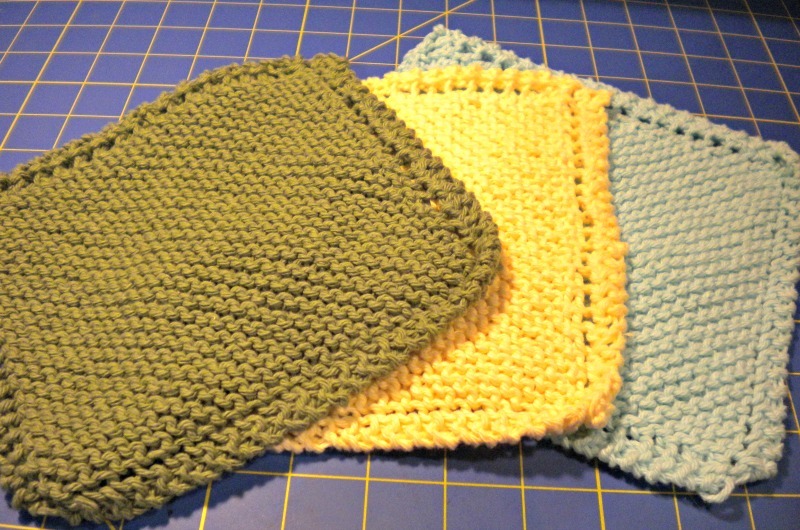 Squares for a Blanket. This is something one of my knitting groups is putting together for a friend who is going through a rough time right now. I finished two squares out of Cascade Pacific but forgot to take a picture of them. Charity Hats. 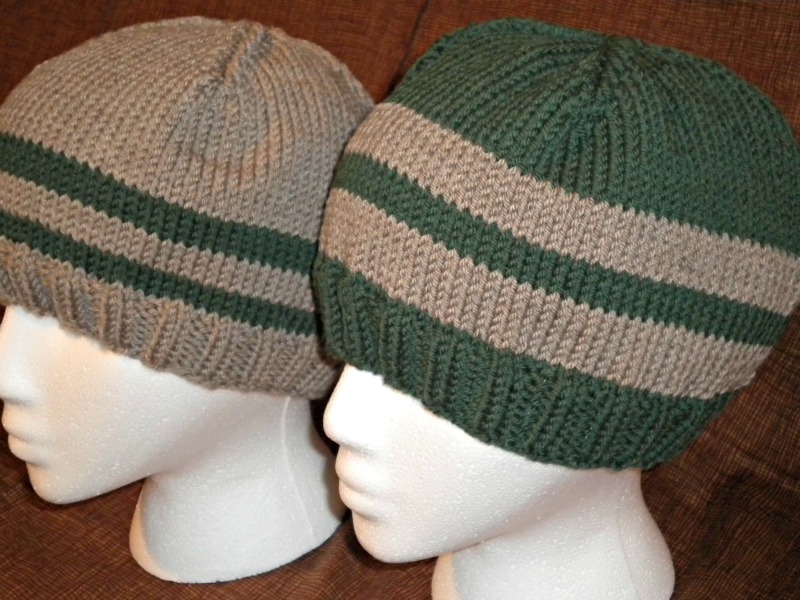 I finished two hats which are being donated to charity. Dishcloths. I’ve finished several dishcloths for gifts. I review the Hiya Hiya Sharps interchangeable needle set. Listen in to see what I have to say about them! I recently finished reading (listening to) The Book Thief by Marcus Zusak. I really enjoyed it and recommend that you read it if you haven’t already. Listen to the show for a more detailed review. In this episode I explore the benefits of interacting with nature. I talk about a lot of studies showing how even small doses of “nature” can be restorative to our cognitive and psychological well-being. You might be surprised at some of the research results. Tune in to see!